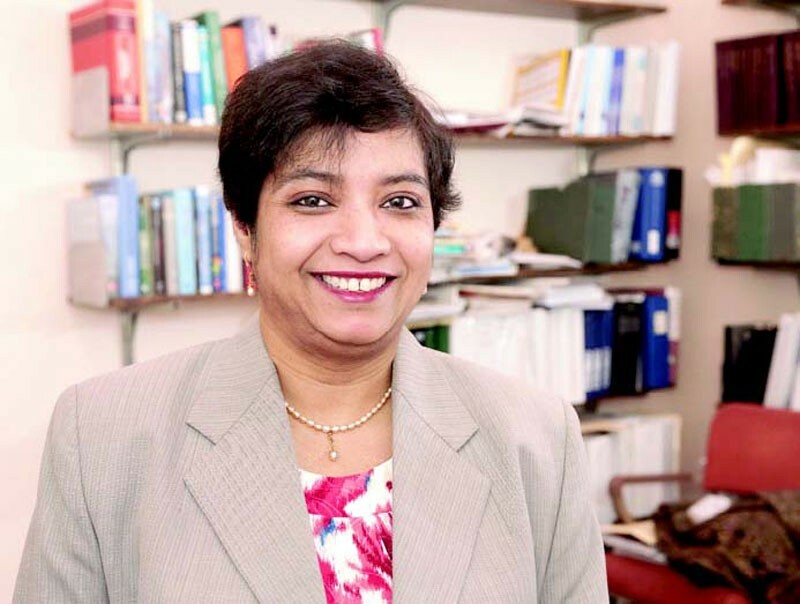 Researcher Susmita Bose hopes to pump out replacement bones down in Pullman. Let’s say you took a dive at your local roller rink and wound up in the hospital with a fractured vertebra. You’re in big trouble — these things don’t exactly heal themselves. Or at least they didn’t used to. Thanks to a tricked-out desktop printer and a little applied chemistry conducted at Washington State University in Pullman, doctors may soon be able to take CT scans of busted spines, jaws and teeth and then print out — within as little as two days — perfect three-dimensional replicas, ready to install. Not only that, but the new bones would act as a kind of scaffolding for your body’s own bone tissue, ultimately dissolving to give way to the real thing. The jaw-dropping, sci-fi nature of the feat garnered the university attention from publications around the world when it got out last year. Dr. Susmita Bose, the lead researcher on the project, smiles proudly as she types her name into Google and pulls up story after story from the BBC, NBC, the Huffington Post. The trickier part — and the problem they had to solve first — was how to turn that calcium phosphate into an actual three-dimensional object. While 3D printing has been around for years, the printer they bought online was built to produce metals. Bose says it took a year or two to tweak the machine for their purposes. That part is made up of hundreds of layers of the calcium phosphate material, each laid down by the printer along with a kind of adhesive spray to hold it all together. When the part is finished printing, within a matter of hours, it’s then dried and densified, to make sure it’s solid and strong. The results are extraordinary. Bose produces a pink plastic box that looks like an oversized pill organizer. In each snap-tight compartment are examples of their work: a trio of small, slender hip stems; a series of off-white mesh cylinders; even a few small, buttonshaped, bas-relief renderings of the WSU cougar logo. But the most impressive is a tiny replica of a pelvis, about the size of your fingertip, complete with sacrum, ilium and coccyx. The detail is unbelievable. Of course, the project is far from over. Asked when she thought she would be finished, Bose smiles and sighs. “It’s never really finished,” she says. She’s happy that her team has arrived at the point it has, but they still need to fine-tune the mechanism, and they need to put it into the hands of the biomedical industry in order to get it manufactured and distributed to hospitals. The next goal, she believes, will be a bone-like scaffolding that not only provides the structure needed for healing but could also actually distribute drugs into the site to speed bone growth, thus taking an active role in the recovery process. But as Tron as all of this is, Bose takes the big picture view of her work.